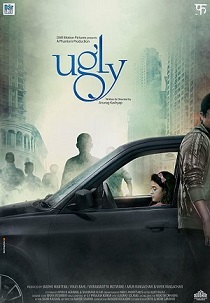 Review Summary: Dark, disturbing and unsettling, Ugly is another Anurag Kashyap's masterpiece! These are actors who must be seen more often. Or their souls would be broken beyond repair… just like the characters that they play so well they don’t seem to be playing them at all. This may not be Anurag Kashyap’s best film, but it is infinitely and indescribably better than all the muck that mainstream Bollywood passed off for entertainment this year. The vast space between helplessness and desperation is morbidity, and Ugly lives in that world. I disliked what I saw, and I dislike thinking or even writing about its familiar environment. And this vile aftertaste is perhaps Mr. Kashyap's most significant achievement. This morning when I saw the short film, Kali Katha, which is a prelude to the story of Ugly, I was highly intrigued to find out what will happen next. I kept wondering as to what Kali’s character would be like? How does she get kidnapped? Who would have done it? Well, in the evening when I saw the film, I not only had the answers to these questions but was also left with a brilliant cinematic experience. The movie stars Surveen Chawla, Rahul Bhatt, Tejaswini Kolhapure, Ronit Roy and Vineet Kumar. Let’s see what miracle does Anurag screen this time around. Post ‘ Wasseypur’ Kashyap visits his source in ‘UGLY’ , with more force and maturity. Film has no chances at box office as Aamir Khan starrer 'PK' is creating havoc at box office.Go for this one if you love such dark cinema with good substance! Ugly won't make your Christmas merry: it is a simple, hard-hitting and dark movie. It shows you how we mess up our own lives because of ego, jealousy and misunderstood notions of people around us. On the whole, technically brilliant with some wonderful performances, UGLY strictly caters to a niche audience. Moreover the choice of releasing it during a festive period isn't a great idea either. Watch it if you are an Anurag Kashyap fan, else avoid! The amazing script, riveting performance of the stars and the thoroughly interesting suspense makes this film a good watch. Ugly is not your cheerful holiday movie but the kind of film that must be seen. t's not for the faint-hearted, but for those who are willing to let the morally decrepit live. Do not miss this film. It may be all things dark and forbidding this festive season, but it is, with flaws and all, one of the best films you'll watch this year. Possessing the bloody radical non formulaic idealism in his romanticism as a filmmaker, Btown cult Anurag Kashyap’s ‘Ugly’ is a classy, tight, disturbing, gut- wrenching and haunting beauty that feast its beast on greed, anger, resentment, lies, betrayal, fear, humour and murder in this shocking, dark thriller topped by terrific performances.